Pity Joe Studwell. He has written a very intelligent, very thoughtful book. You might not agree with much of it; I have my doubts about his recipe. But there is little doubt what the book is: an exercise in economic history, with a focus on a peculiar developmental pathway followed by a few highly successful (generally northern) east Asian countries and not followed by certain (largely southern) east Asian countries. And geography has nothing to do with these diverging outcomes. So poor Studwell delivers this intelligent book to his editor - one imagines - who decides it needs a snazzy title. Regardless of whether the title describes Studwell’s book. Studwell writes about ‘How Certain Asian Countries Developed’ - not about ‘How Asia Works’. He has very little to say in How Asia Works about how any of Asia works today - again, he is an economic historian. And he makes no claim within the book’s pages that Asia is ‘the World’s most dynamic region.’ Poor Studwell. 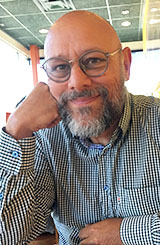 He can take comfort from having written a provocative book, which challenges much of the prevailing orthodoxy in developmental economics. And he’s obviously willing to horrify both left and right - praising Robin Hood-esque land reform (but not agricultural collectivization), autocratic leaders who impose export discipline on their cronies, and the elegant effectiveness of capital controls. Studwell examines the East Asian development successes (Japan, Korea, Taiwan, and China) and the laggards (Malaysia, Indonesia, Thailand, and the Philippines). The winning path, according to Studwell, involves three distinct phases (“one, two, three,” he calls these in his concluding chapter). These three phases are a recipe for developmental success, they form the “same stretch of the river” that poor countries must navigate. The first stage requires equitable land distribution to absorb labor and capture the productivity gains associated with moving to garden-style agriculture by small family landowners. The magic here is that everyone works - and most start at the same base. Garden intensity agriculture yields very low returns on labor but enhanced returns on land - it permits the accumulation of small surpluses that can be used to fund imports of necessary technology. The second phase is the development of export-oriented industrialization. And Studwell cannot emphasize enough the importance that industrialization be export-focused; import-substitution strategies are doomed to fail. Here we see the green thumb of the successful state. Prospering East Asian nations do not (generally) direct their economies; rather they provide incentives and protection to exporting firms (fertilizer?) and then apply discipline (weeding?). The state does not pick winners, but it does cull losers. Studwell traces the development of the export-oriented automotive industry in Korea. Several firms were launched, but in the end one survives: the Hyundai/Kia complex. Studwell’s third phase involves a sheltering set of financial policies. The state must support its exporting firms financially - which necessarily involves allocating capital in directions that would not be justified by short-term returns. Left unguided, private banks chase quickly realizable returns from investments that may have little transformative effect (luxury hotels, anyone?) Savings must be captured and directed, and this involves exchange restrictions. So what went wrong in the other East Asian countries? Why do not Malaysia, Indonesia, Thailand and the Philippines share in the prosperity? Here the answer is straight out of Tolstoy: each fails in its own way. For Studwell, this means each (at one or more critical junctions) fails to progress down the ‘same stretch of the river’. But this simplifies the error. There are many diverging pathways, many other policy choices that can be made. After all, there are no illuminated signs marking the certain pathway to developmental success. Studwell sees certain leaders as developmentally clear-headed (including MacArthur and Park Chung-hee) and others as muddled (Mahathir); Marcos of course was a thief. It is not a question of following advice; Studwell makes clear that most advice given developing countries is positively wrong-headed. And while history may demonstrate (as Studwell argues) that the peculiar one-two-three recipe worked for Japan, Korea, Taiwan and China, it does not follow that it will work (or would have worked) for others. The tone of How Asia Works is dry, to put it mildly. But I did enjoy Studwell’s occasional accounts of arriving in various Asian capitals and noting the correlation of personal service to the local Gini coefficient (a metric of wealth inequality within a particular country): Studwell instantly senses the passage from Gini coefficient 3.0 to 5.0. The northern East Asian countries Studwell studies not only ‘work’ in the sense of greater per capita wealth (China aside); they also have (somewhat) more equitable distributions of wealth. 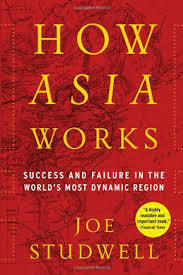 How Asia Works is longlisted for the 2013 Financial Times and Goldman Sachs Business Book of the Year Award.